For Ole Miss students looking to live off campus, the best time to start looking for housing is during the spring semester. The Oxford housing search peaks in February, so if you’re looking to live with a few friends or roommates, it’s a good idea to get moving around that time. If you’re planning on living alone, you have a little more time to find your new home, but it’s good to have a lease signed no later than May. Students of Ole Miss have access to awesome restaurant options near campus, including quirky, delicious, down-home eateries and fine-wining-and-dining choices. No matter what kind of cuisine you’re craving, you can bet that you’ll be able to find something to satisfy your taste somewhere around Oxford. As for the bar and nightlife scene, there are a ton of great bars in the area that are geared towards supporting both the football team and the college in general, which means that there are great drink specials. The jazz scene is also alive and well in the area, so there are more than a few choices for venues that host live music on a nightly basis. You won’t want to miss any of these top-rated restaurants and bars! The Medical District of Oxford is located south of The University of Mississippi and The Square. This area is made up the Baptist Memorial Hospital-North Mississippi, North Mississippi Family Medical Clinic, and countless other health-care facilities. The Medical District also has some other area schools and other businesses. This area is rapidly growing and has several single-family homes and apartment complexes. From frat houses to apartment complexes and large historic homes, Oxford has a great variety of housing options for everyone! Oxford is only ten square miles, so getting around town is very accessible and the town revolves around Ole Miss. The neighborhood that surrounds Ole Miss is appropriately called University, which is adjacent to Downtown Oxford. The neighborhood is jam-packed with college students as more than 85% of the people living in this area are enrolled at the school. 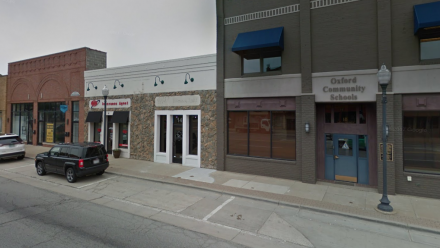 Speaking of party, some of the most popular bars in Oxford are located in University. The most popular is The Library which is three bars in one. There’s a dance club, sports bar, and outdoor patio for drinking. Many of the Ole Miss athletes are spotted at Funky’s which is a daiquiri bar and just a few steps away from Funky’s is Levee. Levee is a popular dive bar that undergrads hang out at. University is home to several luxury off-campus student housing apartments like Campus Creek and Gather Oxford, just to name a few, that have amazing amenities like pools and sports courts. There are also tons of rental houses too! Due to the close distance to campus and the walkability, this is the most preferred area of Oxford to live in for students. 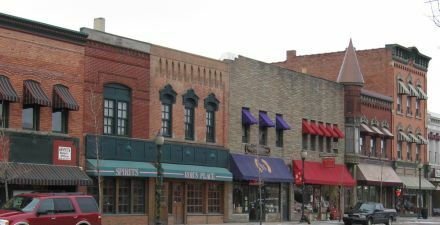 Just to the east of University is Downtown Oxford, or more commonly known around those parts as The Square. This area is Oxford’s business district and walking down the street you’ll come across several restaurants, museums, galleries, and shops. At many of these spots, you can catch live music too. Shop the South’s oldest department store Neilson’s or the largest independent bookstore, Square Books. You can also visit William Faulkner’s childhood home, Rowan Oak, or catch a show at the Lyric Theater. The Square is the happening nightlife spot Oxford. Oxford has even been called “The Little Easy” because it’s compared to going out in New Orleans. However, even though Oxford is a huge college town full of people who are ready for a party, much of the city wishes alcohol was prohibited so the cops are quick to shut down bars any time of the day (some even say before the party gets started). That doesn’t stop students though! House parties anywhere around town are easy to find. In the downtown area, there are plenty of housing options like single family homes, duplexes, and apartment complexes that are sure to fit anyone’s needs. Being that this area is adjacent to Ole Miss the commute to classes is easy! The Lamar Park neighborhood is just north of the University of Mississippi campus. This area of Oxford gets its name from none other than Lamar Park. The park has a lake, walking trails, and several gardens for community use. Oxford holds several city gatherings here like public speeches and social events here. This area has many of Oxford’s older historic houses and nearby you’ll find restaurants like B’s Hickory Smoked BBQ and Mink’s on the Park. The University-Oxford Airport is also close by. Oxford was named the first bicycle community in Mississippi and being that this area is close to campus, biking to class is a fast alternative.